Lake Charles City Court was established by the State of Louisiana. It is called a City Court, but it has jurisdiction over all of Ward 3, Calcasieu Parish. It has authority to decide certain Juvenile, Traffic, and criminal matters as well as civil disputes up to $25,000 in amount. The City Judges and the employees of Lake Charles City Court are not allowed to give legal advice. The technical rules of evidence are relaxed and all relevant evidence is admissible provided the Judge is satisfied as to its reliability, and the Judge has sufficient evidence on which to base the judgment. See Civil Procedures. Though the procedure at Lake Charles City Court is relatively informal, you must still prove by the competent evidence that the defendant owes you the money you seek. You do not have to have a lawyer in this court, but it is advisable to get the legal advice before you file a lawsuit. If you cannot afford to hire a lawyer, you may contact the Southwest Louisiana Legal Services at (337) 436-3308. The Lake Charles City Court exists as a service to you, however, it is not free. You will be required to pay a deposit before filing your suit. The Clerk’s Office can provide you with a schedule of fees and tell you how much the deposit will be. The deposit is an advance toward the actual costs incurred during the suit. If the costs exceed the deposit, you will be required to post additional deposits as the case progresses. The Court cannot guarantee that you will get your money back, even if the judgment is rendered in your favor and the Court orders the defendant to reimburse you for the costs. Whoever files the suit is ultimately responsible to the Court for payment of all costs. We accept payments of Cash, Money Order, or Credit Card. If a credit card is used, then a 5% transaction fee is collected in addition to the payment. Please see Louisiana Statue R.S. 13:1898. Operating a motor vehicle under the influence of liquors, alcoholic beverages, or drugs. Speeding in excess of 20 miles over the applicable speed limit. Operating a motor vehicle with a suspended or revoked license. Most other tickets may be paid before your assigned court date. We only accept cash, money orders, and credit cards. We do not accept checks. Credit card payments can be accepted on the phone. There is a 5% credit card handling fee collected under Louisiana Statue R.S. 13:1898 added to all credit card transactions. Over 20 MPH and School Zone must appear in Court! Your ticket is your signed, written promise to appear in court and enter a plea of Guilty, Not Guilty, or No Contest. If we do not receive payment for your ticket BEFORE the date indicated or you appear in person on your appointed court date, you will be charged under Louisiana Statue R. S. 32:57.1, Failure to honor written promise to appear. Once charged, your ticket will be assessed a $100 Warrant penalty and will be reported to the Louisiana Department of Motor Vehicles immediately. The DMV will then suspend your license until you pay your ticket with City Court. After you pay your additional fines and court costs, you will be required to pay an additional $50 to the DMV to reinstate your license. Please, do not let this happen. In order for you to be eligible to file an expungement, you must have been sentenced under Louisiana Code of Criminal Procedure Article 894 or the charge was rejected or dismissed. Before filing the expungement, you need to call Lake Charles City Court, Violations Office to determine if you are eligible for expungement for city charges or state (DA) misdemeanor charges that were handled at Lake Charles City Court and to find out what filing fees apply to you. After your Motion for Expungement has been signed and all required documents and fees have been provided to Lake Charles City Court (Violations Office), 118 West Mill Street, Lake Charles, the Clerk of Court will then file your Motion. If it is a State charge, it is the individual’s responsibility to get the Certificate of No Opposition signed by the District Attorney’s office and then brought to Lake Charles City Court for filing along with the money orders. To view or download the forms needed for expungements please use the navigation bar at Online Forms –> Expungements. Under the provisions of LSA R.S. 44:32 C. any requests for copies of public records shall be in writing using an approved form provided by the court. Said request will indicate the date the request is made. In compliance with Federal Law, all personal identifying information for those persons other than the person requesting the information (or that person’s legal representative) shall be redacted to remove information that could lead to identity theft such as Social Security numbers, Drivers License numbers and dates of birth. There will be a $5.00 minimum fee for certified copies of traffic tickets, criminal summons, and some Civil matters. Ordinary non-certified copies will bear a charge of $2.00 for each page copied. The per page fee for certified documents after the first page will be $3.00. R.S. 13:841 et seq. Recordings will bear a fee of $25.00 which includes the cost of the CD. All fees payable to the general operating account of Lake Charles City Court. Transcripts will bear the per page cost as charged by a certified court reporter. All Civil record requests will be handled by Monica Abshire, Clerk of Civil. All Criminal record requests will be handled by Tammy Young, Clerk of Criminal. To provide courteous and efficient judicial service to the citizens of Lake Charles, Louisiana and Calcasieu Parish. The Court, its employees, and individuals with whom the Court conducts business are required to comply with the provisions of the Code of Governmental Ethics, which can be found at La. R.S. 42:1101-1169. Lake Charles City Court has two Divisions, Division A and Division B. Each division is headed by a part time Judge. Civil matters and Civil disputes are handled through the Civil Division. Traffic and Criminal matters are processed through ordinances of the City of Lake Charles and State misdemeanor matters of Ward 3. They are handled by the Violation Division. Both the Civil Division and the Violation Division are open from 8:00 am until 4:30 PM on all weekdays excluding holidays. Also located at Lake Charles City Court is the Ward 3 Marshal. The Marshal enforces the orders and the judgments of Lake Charles City Court. 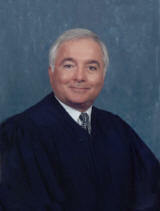 Louisiana City Judges Association, past president; Louisiana and Southwest Bar Association; Kiwanis Club of Lake Charles; Boy Scouts of America, District Chairman; Louisiana Juvenile and Family Court Judges Association; American Judges Association; American Judicature Society; Elder-First Presbyterian Church, Lake Charles; American Academy of Attorney Mediators, Graduate. What kind of suits may be filed? How do you begin the suit process? The documents that compromise a lawsuit are called the “pleading”. The Clerk’s Office has standard “fill in the blank” forms already prepared for certain types of lawsuits. The clerk can provide you with a form or you may obtain it via the web. See Online Forms. If the appropriate form is not available, it may be necessary for you to hire a lawyer to prepare the pleading for. The correct name and address for the defendant(s). If a business is being sued, it must be determined if it is “incorporated” or “not incorporated”. Also, the primary address of the business must be determined. The reason why you believe the defendant owes you money. A demand that the Judge award you the amount sued for plus court costs and Judicial Interest. You must attach copies of any contracts, leases, bills, receipts, cancelled check, etc., that support or prove your claim. You will be asked to sign the pleadings and furnish your telephone number and address and the address where you may be contacted during the length of the lawsuit. It is your responsibility to notify the Court of any changes of contact information. What happens after you file a suit? The Clerk’s Office will prepare a “Citation”. The Ward 3 Marshal’s Office will serve the defendant along with your petition. The Citation informs the defendant that they have been sued and will have ten (10) calendar days(including Holidays) in which to answer. You may contact the Clerk’s Office two weeks after filing the suit to check on the date of service of your lawsuit on the defendant. If the defendant cannot be located, you will not be able to proceed with your suit without the assistance of an attorney. If the defendant has been served and has failed to file an answer or other responsive pleadings within ten (10) calendar days, you must contact the Clerk’s Office and request that a judgment be rendered. If your claim is an open account, negotiable instrument, or other conventional obligation, and there is sufficient evidence contained in your pleadings, your personal appearance may not be necessary. In that case, the Judge will review the record and sign a judgment. If not, you will be assigned a new court date before the Judge and present witnesses and evidence for confirmation of a “Default Judgment”. The Plaintiff has the burden of proving their case before the Judge at Trial. The Plaintiff should bring any improtant documents related to their case that can be used as evidence. They may include, but not limited to, cancelled checks, receipts, bulls correspondence, messages, contracts, leases, and reports. The Plaintiff is responsible for arraigning to have winesses appear to testify on their behalf. The Plaintiff must inform witnesses of the date, time, and place of the Trial. If a witness does not want to appear voluntarily, then you may ask the Clerk to issue a Subpoena, or a Court order, directing them to appear before the Court. Your witness’ failure to appear will not ordinarily constitute good grounds for a postponement or continuance of your case. The Plaintiff bears the burden of proving their case by a “preponderance of the evidence”. This is a balancing test by which the Judge weighs the probabilities of accuracy of each party’s respective claim. The Plaintiff’s evidence must be greater in order to be successful in the Trial. Therefore, if your suit involves a complex piece of machinery, a defective car, or an appliance, you may wish to bring an expert witness to testify at your Trial. You may also wish to consult an attorney regarding Trial preparation even if you intend to handle your own case. If a settlement is reached prior to Trial the Plaintiff must notify the Clerk’s Office in writing immediately. The Plaintiff my also notify the Clerk’s Office in writing to seek a continuance. Continuance requests do not reflect the consent of the opposing parties and are not automatically granted. A continuance request must be supported by good cause. What should you do on the day of the trial? You should arrive at least 15 minutes prior to the stated court time and bring all court papers with you. If you are the party suing (the Plaintiff) and arrive late, or do not appear at all, you case may be dismissed. If you are the party being sued (the Defendant) and arrive late, or do not appear at all, then judgment could be entered against you. The Defendant could therefore lose without a hearing. If you are suing (the Plaintiff) and other party is not there, you must still show proof of your claim before you can get a judgment in your favor. 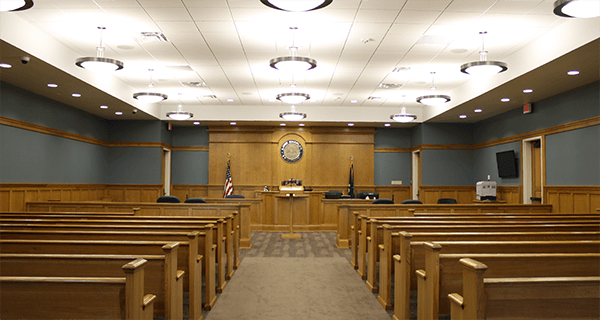 Prior to your trial, you may be asked to meet with the Judge in a pre-Trial conference. You will advised by the Judge of the legal basis that will be considered if the matter proceeds to trial. It is up to the Plaintiff if they want to proceed. If the matter proceeds to Trial, the Plaintiff will present their case first. They will be allowed to present evidence in an effort to disprove the defendant’s case. There will be no jury. The Judge will hear and decide the entire case based on its merits. It is the Judge’s responsibility to sufficiently develop the facts in order to render a fair judgment. The Judge can summon witnesses, raise defenses, take testimony, ask questions, and generally take whatever action is appropriate to ascertain the true facts of the case. Lawyers may or may not be present. The Judge will set the rules and insure that the rights and interest of both parties are preserved. The Judge will decide who at fault or is to blame. The Judge may award all or part of the money asked for in the case. The amount is usually based on what is proved during the proceedings. The dugment of the Court becomes a binding legal obligaiton after it is signed, unless one of the parties involved requests a new trial within three (3) days after the judgment is rendered. The judment merely establishes who is owed money. If the guilty party refuses to pay the settlement amount, then further action may be taken by the Plaintiff. This is usually asking the Court to “garnish” the person’s wages or to “seize” certain non-exempt property. In order for this sept to be taken, thena “judgment Debtor Examination” is usually required. This wil order the affected person(s) into Court to produce evidence of their assets and employment status. You or your repersentative will be allowed to orally examine the affected person under oat regarding their assets, employment, etc. at a suitable location, usually at the Courthouse. this information may help you in finding other legal means for collecting on your judgment. If you are not satifisfied with the Court’s judgment, you may appeal its decision. An appeal would permit a review of the trial Judge’s ruling by a higher court to determine whether the Judge properly applied thelaw to the specifics of the case. However, the trial Judge’s factual findings on disputed issues would not ordinarily be reversed on appeal. However, there are time limits on when an appeal my be filed. If you want to file an appeal, you must contact an attorney immediately after the trial. All tickets contain a Ticket Number. It is located on the top upper right hand corner of the ticket. Most, but not all Lake Charles City Court tickets begin with the letters “AA” and are followed by 6 numbers. This ticket number is linked with your charge. All business that can be done with Lake Charles City Court can be tracked through this number. On the bottom third of the ticket is your court date. The format for this date reads Day, then Month, then Year. A sample of this is as follows: “You will appear in court on the 12 day of June, 2015…”. If at any time you are unsure of what the date is, it is your responsibility to contact the court at (337) 491-1565 and ask for the correct date. Your signature on the ticket is a written promise that you will appear in court. This is your only notification. Failure to appear in court either before or at the time of your arraignment will result in a a court order to suspend your driving privileges until you resolve this matter with the court. Can I pay before the court date? Many of our tickets can be paid before their court date. You must contact the the Violation Division to see whether your ticket is eligible to be paid out of court. Methods of paying before court are by going online, mailing in your payment, calling in your payment, or by going to the courthouse in person. Our physical location is: 118 West Mill Street, Lake Charles, LA. Our hours of operation are Monday through Friday, excluding holidays, from 8:00 am until 4:30 pm. CHECKS ARE NOT ACCEPTED! If at any time you have a question about either the charge or the court date prior to your arraignment, please contact the Prosecutor Office at (337)491-1300. How do I appear in court? If you are going to appear in Court, please arrive at Lake Charles City Court, 118 West Mill Street, Lake Charles at least 30 minutes prior to court starting. On Mondays and Fridays, our court starts promptly at 9:00 am. On Wednesdays, court begins promptly at 10:00 am. Dress is important. Remember, you are appearing before the Judge. Please dress business casual if possible. Men will wear slacks and women should dress appropriately. Revealing clothing, sagging pants, or otherwise inappropriate clothing will not be allowed into the courtroom. Chewing gum is not allowed in the courtroom. Do not use your cell phone in the courtroom. No texting, phone calls, or phone use is allowed. If found, our bailiff will remove the phone from your possession. If you are sentenced to pay a fine and/or costs of court, complete payment must be made on the day of court. Under the constitution of the United States and the State of Louisiana, you are entitled to 3 pleas. They are Not Guilty, No Contest, or Guilty. Not Guilty- If you plead Not Guilty, you are stating to the Prosecutor and to the Judge that you do not feel like you committed an offense and you wish to fight this. Once you enter this plea, you will be given a new court date called a Trial Date. This is your time in court to contest the charge. You will only get a written notice in court. No Contest-This indicates that even though you will not admit guilt, that you will not fight the charge. You will receive the same sentence whether you plead Guilty or No Contest, but you will not admit it. This is primarily used as a defense against an action that you could be sued for such as an accident. But No Contest can be used for any charge. Guilty- This simply states that you admit to doing the offense and you do not wish to challenge it. You will be sentenced that day. How do I subpoena a witness? If you have decided to go to Trial, then the City Prosecutor will subpoena the officer(s) and/or witnesses involved with your citation to testify before the Judge. If you have any witnesses you wish to subpoena on your behalf, you must contact the Lake Charles City Court Violation Division at (337) 491-1565 with the appropriate information for them to issue the subpoena on your behalf. You must contact the Violation Division 2 weeks prior to your court date. If you have contracted an attorney, then your attorney will handle this procedure for you. How do I go to trial? If you wish to contract an attorney, it is your responsibility to do so before your scheduled Trial Date. If you wish to obtain cousnel from the Louisiana Public Defender’s Office, you must inquire about this from the Judge on your arraignment date. After your arraignment, if you are unable to hire your own attorney and wish to enroll the PDO, you must contact the Judge’s Office at (337) 491-1305 at least two weeks prior to your Trial Date. There are some simple rules to remember during your trial. Each side, the Prosecutor and the Defendant, will be allowed to tell their side of the story. Basic respect will be given to all parties at all times. The Judge will control the Court at all times. Only questions are are allowed during testimony. Only questions relating to the charge will be allowed by the Judge. Once the testimony is complete, the Judge will issue a verdict. If the Defendant is found Guilty, the Defendant will be order either pay a fine and/or costs of court, and/or probation. If the Defendant is found Not Guilty, then the Defendant is free the leave the Court. Failure of you to miss your court date will result in the Judge issuing a warrant. 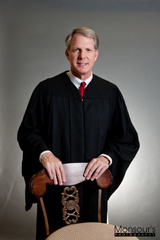 Only a Judge can issue a warrant or recall a warrant. Once a warrant is issued by a Judge, a $100 contempt fee is added to the case and then that case is turned over to the Louisiana Department of Motor Vehicles. The Louisiana DMV will then suspend your driving privileges. You must clear your charge with Lake Charles City Court before your license will be reinstated. If you are caught driving with a suspended license, you run the risk of either additional charges and/or jail. If a warrant is issued and 6 months of no activity has occurred, your case will be referred to a collection agency. How do I clear up my suspension/revocation charge? Go to any Department of Motor Vehicle Office(Lake Charles Branch/ 951 Main Street, (off Broad Street, east of I-210). Find out why your Driver’s License is suspended. Find out when you are eligible to get a new DL. Find out how much the reinstatement fee is. Take care of the things that the DMV told you needed to be taken care of. Bring receipts, information, and reinstatement fee to DMV and get a new DL. Bring your new vail Driver’s license to the Laek Charles City Prosecutor Office at least one week prior to your court date to get your charge reset and to avoid additonal fees and penalties.